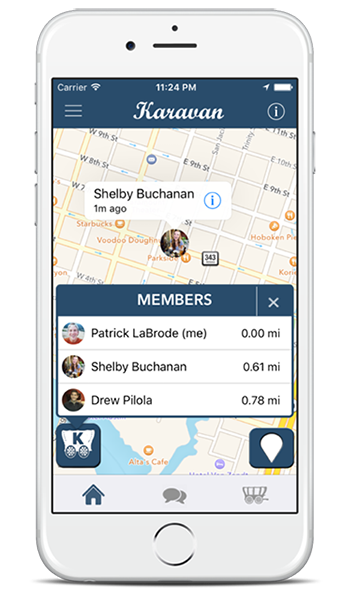 Karavan is a real-time friend locator app that lets you group up with your friends, see them on a map in real time, and communicate in a group chat. Group up and see your friends in real-time on a map. Every Karavan requires a unique security passcode set by the leader to keep unwanted users from joining. 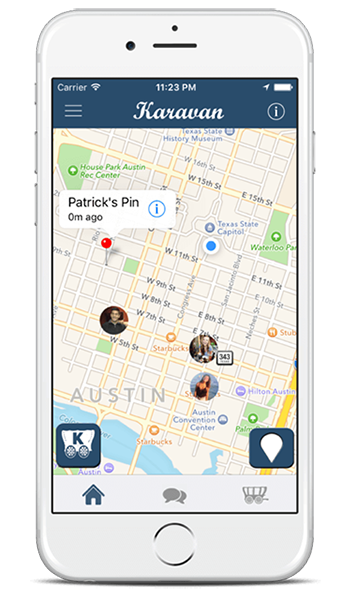 Simply swipe and close the app to stop sharing your location with your Karavan. Quickly and easily scroll through the different Karavan members and find out how far away everyone is. Each "Karavan member” has the ability to drop a pin on the map for all of the other members to see. Members of a Karavan can get directions to anyone in their Karavan, or any pin dropped by a fellow member.